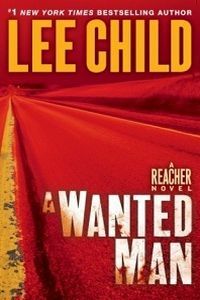 A Wanted Man by Lee Child: Synopsis and Online Purchase Options. Synopsis (from the publisher): Four people in a car, hoping to make Chicago by morning. One man driving, eyes on the road. Another man next to him, telling stories that don't add up. A woman in the back, silent and worried. And next to her, a huge man with a broken nose, hitching a ride east to Virginia. All Reacher wanted was a ride to Virginia. All he did was stick out his thumb. But he soon discovers he has hitched more than a ride. He has tied himself to a massive conspiracy that makes him a threat — to both sides at once.